Why Do We Love iPhone Accessories? In a modern society, having a cell phone (or two, three of them) is no longer a luxury. We buy new mobile phones like we buy coats and jackets, at least once a year. Usually, business people have at least two mobile phones: one for business and one for personal use. But, what to do with your old phone? Usually, people put them in a drawer and after some time, they throw them away. And that is wrong on so many levels. Buying and selling used cell phones is better solution and we will mention just some of them. Be environmentally friendly! 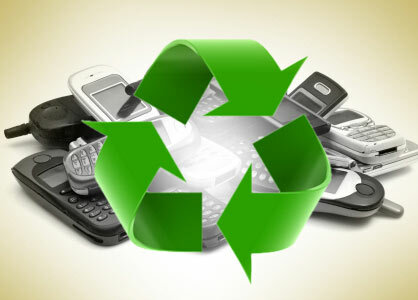 Cell phones are made of toxic materials and it is recommended to recycle them properly in order to reduce our carbon footprint. If we want to keep our soil and air clean, we have to think about how to reduce making waste of any kind. By buying or selling used cell phones, we increase their shelf life. The technology is developing so fast nowadays and even the latest mobile phones become out dated within few months, their prices decrease about 20% about 3 months after they’ve been launched. After one year you can hardly find it in the mobile phone stores. Are they really out dated and not satisfying after a year? The answer is no and therefore we should do our best to increase their shelf life. Be economical! By selling or buying an old mobile phone, you will save your money. What do you need mobile phone for? If you usually receive /make calls and send text messages, you will fulfill your purposes even with really old mobile phones. New facilities might be attractive, but if you have two or more mobile phones, do you really need all of them to be the latest models? Help someone who cannot afford to have a new mobile phone. This is the last, but not the least important reason. Think about those who have less money than you do.